An osteopath has many ways of interacting with the body to influence its function. Cranial osteopathy is a refined and subtle form of treatment that uses very gentle techniques to encourage the release of stresses and strains, thus restoring movement and balance throughout the body. It is an extremely effective method of treatment, and may be used to treat a wide range of conditions in people of all ages, from birth onwards. Osteopaths are trained to feel the subtle, rhythmical changes within the body’s tissues known as the Involuntary Mechanism or Cranial Rhythm. Disruption of this rhythm can occur as a result of physical trauma, emotional stress or illness. An osteopath reads the body’s response to illness or trauma as altered motion in its tissues. To some extent, our bodies may be able to adapt to the effects of any trauma we suffer during our lifetime, but often a residual tension will remain. Free movement becomes restricted, which will gradually influence the body’s ability to function normally. If left untreated, this can have a profound effect on a person’s mental, physical and/or emotional health, leading to pain, disability, chronic fatigue, depression, etc. It is a common belief that babies and children have no structural stresses in their bodies. The reality is very different. During birth, the baby’s head must adjust to the size and shape of the birth canal, a process known as cranial moulding. During the hours and days after delivery, these distortions correct themselves as the forces of crying, breathing, yawning and suckling help the skull to expand. If any problems arise during birth, such as a labour that is long, complicated, or even too fast, the natural un-moulding process of a baby’s head can be affected, causing some very uncomfortable stresses within the head and body. This can lead to a number of problems arising, such as digestive problems, feeding difficulties or a newborn that will not settle. 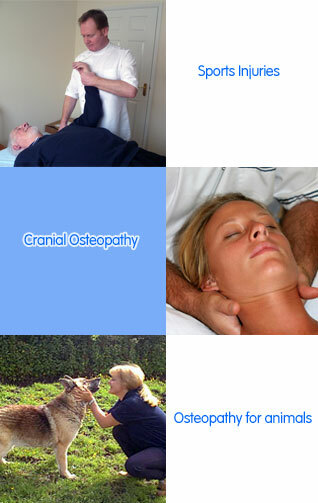 These can be greatly helped by osteopathic treatment. The baby will often become visibly more relaxed as any shock and strain patterns in the tissues are released.